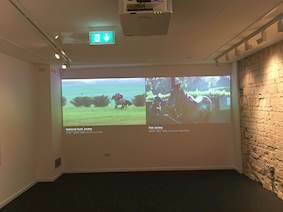 Задача: Two large projected images were needed in the new National Horseracing Museum in Newmarket which has low ceilings and a great deal of ambient light. Решение: AV and lighting specialists, Fusion, installed two Optoma ZU650 6,000 lumen lamp-free laser-phosphor projectors. One projection mapped the imagery around two brightly-lit showcases. 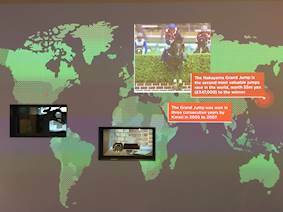 AV and lighting specialists, Fusion, were tasked with using the latest AV technology to interpret internationally significant collections in a new National Horseracing Museum. The museum is just one part of a new £14m National Heritage Centre for Horseracing and Sporting Art in the centre of Newmarket. 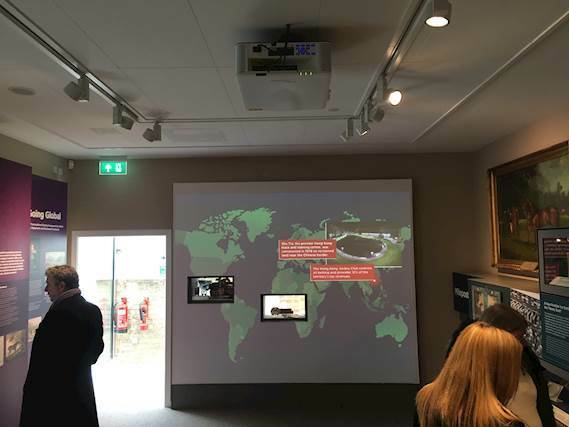 Two large projected images were needed in this bright new-build museum which has low ceilings and a great deal of ambient light. Consequently, the projectors needed to be very powerful and bright but as compact and quiet as possible. In addition, one of the projectors will not only have to compete with sunlight, but would also have its imagery projection mapped around two brightly-lit showcases. 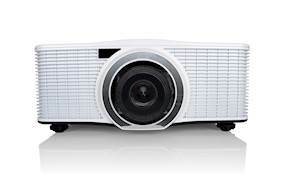 Fusion installed two Optoma ZU650 6,000 lumen lamp-free laser-phosphor projectors. This high brightness WUXGA resolution ProScene model with 2,000,000:1 dynamic contrast is perfect for quieter environments, smaller rooms or those with low ceilings due to the fact it has no lamp – so needs less cooling. It provides up to 20,000 hours of impressive, virtually maintenance-free operation without the need for lamp or filter replacements – ideal for venues that need 24/7 operation. And by eliminating the need for lamp or filter replacements, the ZU650 provides a lower cost of ownership. The ZU650 features quick start-up and shutdown and reaches full brightness in seconds. Unlike conventional lamp-based projectors, the laser-phosphor light source requires minimal cool-down time. Flexible installation is provided by 360˚ rotation and portrait mode operation, combined with an extensive lens shift range and five optional lenses. HDBaseT comes as standard and full support is provided for Crestron, Extron, AMX, PJ-Link and Telnet LAN protocols, which allow almost all functions to be controlled remotely across a network. The ZU650 comes in both black and white but, unlike other projectors, a custom colour option is available in virtually any colour to match the environment. The National Horseracing Museum within the National Heritage Centre for Horseracing and Sporting Art, Newmarket opened in September 2016. Situated in the remains of King Charles II’s sporting palace and stables, the centre comprises three attractions; the new National Horseracing Museum, a National Art Gallery of British Sporting Art, and a chance to meet former racehorses. It is the biggest new attraction to open in Suffolk in the past decade and was supported by the Heritage Lottery Fund, Forest Heath District Council, Suffolk County Council, the racing industry as well as private trusts, foundations and individuals.